3 game, 4 game, 5 game guarantee? Round Robin? Bracket play only? Our flexible tools help you quickly generate pool play match ups, create custom brackets, select brackets from our template or copy one from a previous division tournament. We make creating tournament games quick and easy -- with the click of a button. If your schedule needs a personal touch, use our drag-and-drop tool to place games right where you want them. No more late nights -- get some sleep, you'll need it on gameday. 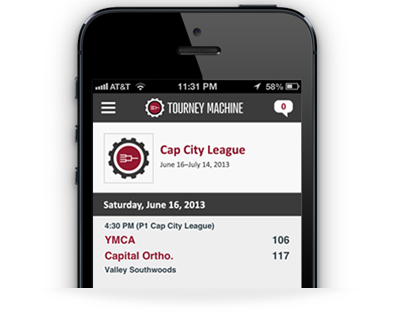 Tourney Machine displays your tournament's standings, schedules, brackets and results on a page specific to your tournament. You can also send e-mail and text message notifications with scores and tournament notifications (delays, schedules changes, and more). When pool play is complete, you can auto advance teams from pool play to bracket and notify teams of their bracket schedule via text message. Wow your parents, fans and coaches as you post scores from your computer or mobile device and the results are updated instantly across all their devices. Now even grandma can stay up-to-speed on the latest game results! With the Tourney Machine registration tool, you can collect team name, division information, coaches contact and rosters at the point of registration and it will be pulled directly into your tournament. 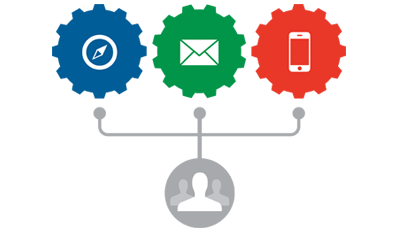 No more sorting spreadsheets or hand keying information.